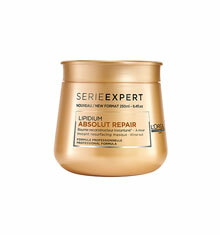 L'Oréal Professionnel Serie Expert Absolute Lipidum Sealing Repair for very damaged hair. A hair saviour for split ends. 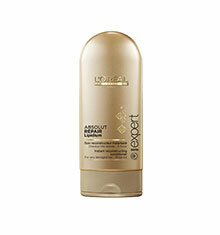 Enriched with Lipids, Ceramides, Phyto-Keratin and Lactic Acid, hair feels smoother, silkier and shinier. 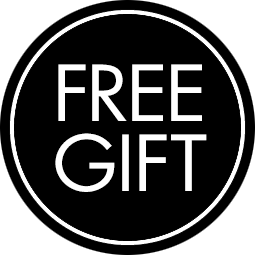 Hair feels more resistant, the appearance of damaged is sealed and is protected against heat styling for upto 230 degrees. 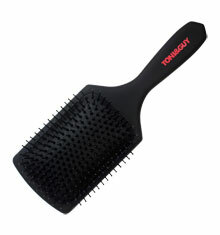 How to use: Use before blow-drying hair or as a finishing product. 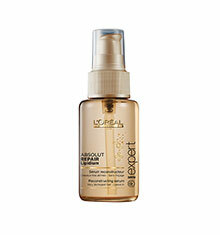 Apply 1-2 pumps to mid-lengths and ends to seal hair cuticles and provide long lasting smoothness. 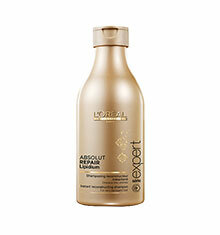 For best results, use as part of Absolute Lipidum range.